I have many food weaknesses. Some you’re already aware of (hello cookies) and others I don’t think I’ve mentioned before. One of those food weaknesses is crunchy, salty foods. Chips, crisps & fries mainly, and it’s one of the things that cannot be amiss when I go on a picnic. Shoving my hands into a bag of salty goodness is just pure summer bliss! I know calling these healthy Doritos is a pretty bold move, but they remind em so much of Doritos I just couldn’t not! They have that paprika-y, spicy crunchiness that I find ultimately addictive. They’re the perfect vessel to scoop up copious amounts of guacamole or hummus into your mouth, and I’ve been having a handful of them every day. 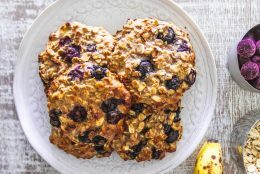 As I’ve made them entirely grain-free they’re obvi a bit denser and filling than the run-of-the-mill Doritos, but hey, considering they’re homemade, oven-baked, and healthier I think it’s a pretty awesome trade-off. Preheat the oven to 175ºC | 350ºF. Place all of the ingredients in a food processor and blend together until a dough is formed. Divide the dough into two balls, and place one of them in between two sheets of baking paper. Using a rolling pin (or wine bottle), roll the ball out into a thin circle. Un-peel the top baking sheet and using a sharp knife cut out triangles in the dough. Carefully lift and place them spaced out on a pizza stone or baking tray - you might need more than one tray here. Note - you can either place them individually or turn over the bottom baking paper onto the tray and peel it off, leaving the triangles of dough on the tray. Gather any remainging scraps from the triangle and add to the other dough ball. Repeat the rolling and cutting into triangles until all the dough is gone. Bake for 8-10 minutes, flipping them once halfway through and keeping an eye so they don't burn! They should get nice and crisp. Remove from the oven and toss with some extra salt and paprika (optional), and store in an airtight container. Hey Buddy!, I found this information for you: "Healthy Doritos – My Homemade Grain-Free Tortilla Chips". 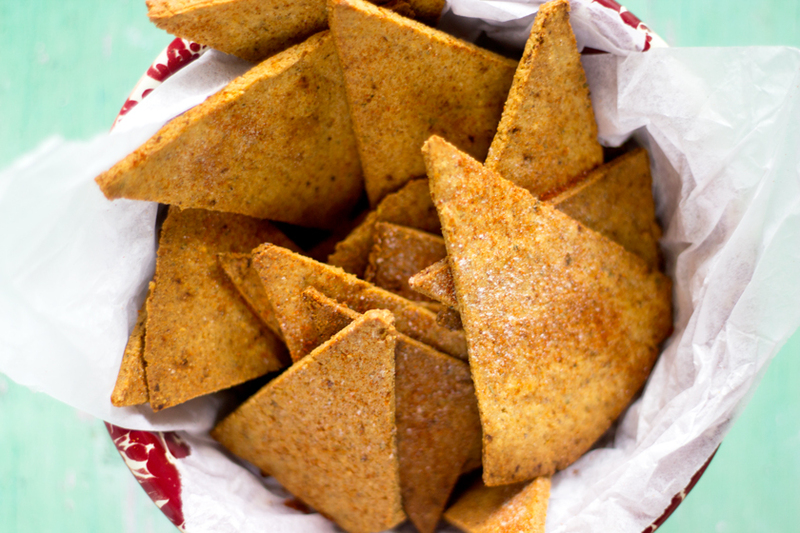 Here is the website link: https://www.sprinkleofgreen.com/healthy-doritos-my-homemade-grain-free-tortilla-chips. Thank you.